While still haven’t finished his eyes, Boomer is otherwise pretty well done. I added more shadowing and color since his last post appearance, but am still working on his eyes. Normally, I like to keep the surprise factor in play for a client and don’t give them a preview. I like them to open that box and got “wow” (or at least I hope they do). But because I still have these questions about his eyes that are not resolved, I had to send her a photo. There are still too may questions in my mind and I want to be correct. I think the problem lay in the fact that her photos came straight off of her phone without a download and she thinks they show more than they do. I hope the preview will do it for us and she still will be “wowed” when she opens the package. It has been a week of company (two sets of family) and therefore a smaller amount of time in the studio. 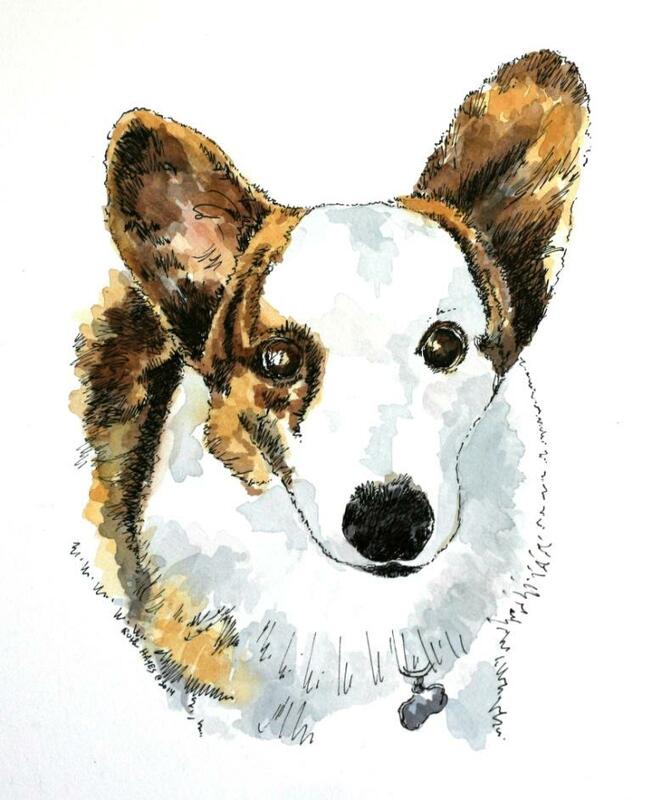 I am still going back and forth with the corgi owner about his eyes, so I decided that it might be a good time to replace the green angel ornament that I sold earlier this month and make up a couple more. I have relatively little blue in my etsy shop so I decided that a blue angel and a blue rocking horse might be a good idea. Here are the three ready to go. It is hard for me to judge the blue, but I think they turned out fine. Soon, I will pin down the corgi’s eyes and finish him up. I am eager to get it in the mail to her, but reluctant to send her a preview for the eyes. I always like the wow factor when it is first opened up and that is spoiled with an early peek. And my photography editing skills are not where I’d like them to be for someone to be making overall judgments on my work, especially when I have no idea what it would look like on another monitor or cell phone. I just don’t know. I may have to. This has a ways to go, but at least it is started. I have been going back and forth with the client on his colors. The brindling looks black in the photos, but she says he is dark brown over golden brown. Then she threw in an off white eye which I though was just reflection. I’m glad she told me before I had totally colored them in. I need to deepen the colors tomorrow and increase some of the shadowing. It’s not a bad start considering the problems I have had with the pictures. 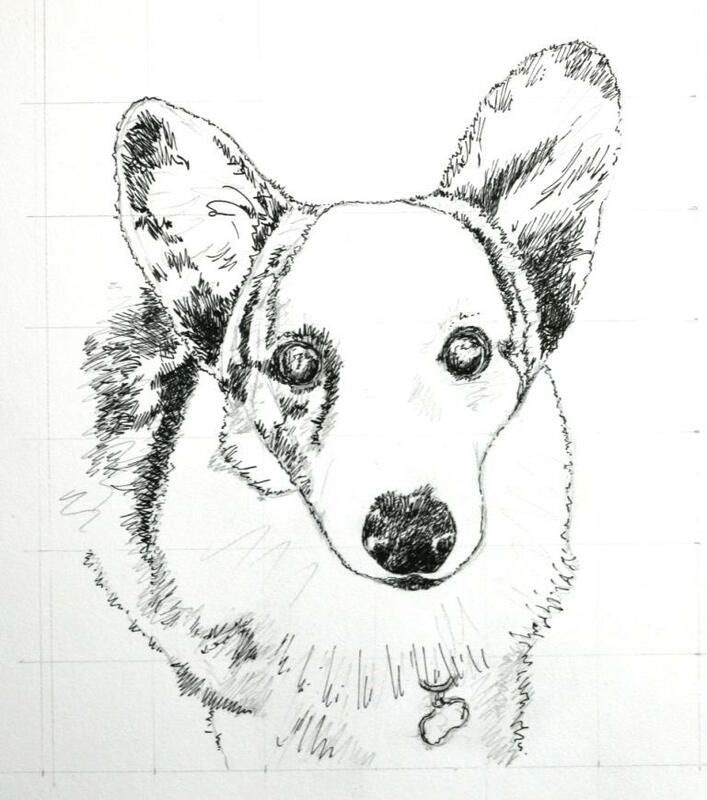 I finally took pen in hand yesterday to start inking the corgi. I really had a hard time with the pencil up but now I am on my way. Sometimes the first stroke is the hardest, but when I make it, everything becomes a lot easier. The face and chest are mostly white. I’m waiting to hear if his base coat color is a reddish brown or a golden brown. I think the pictures were taken indoors with a phone and I don’t trust what came through. They are somewhat yellowed. The eyes are dark, so I’ve asked about them too. In the meantime , I am also making a few more paper mold ornaments. I sold the angel one last Saturday and decided to use some of the corgi down time making a replacement. 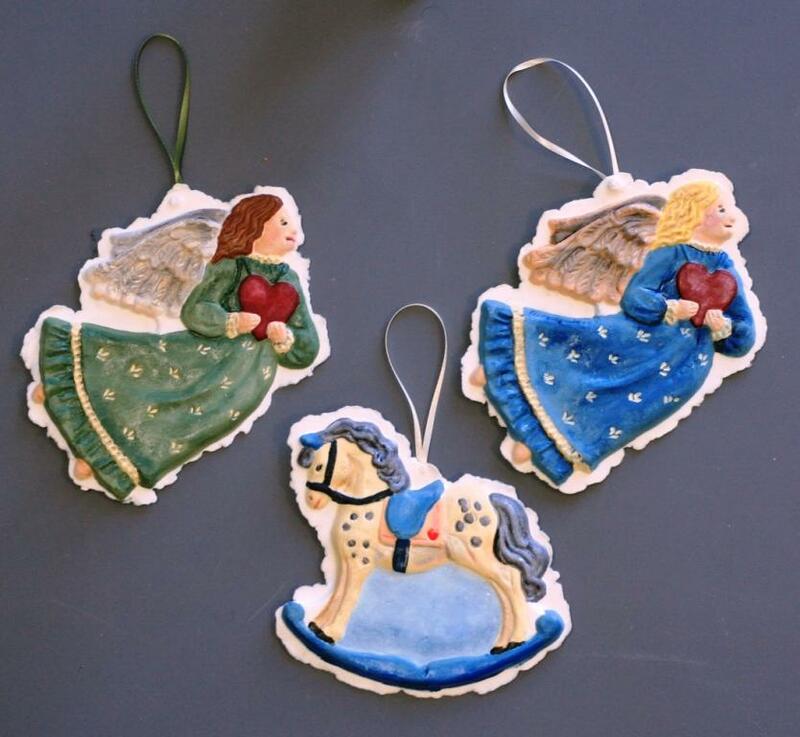 I found that I actually have two molds for the angel, so I am making up two new ones as well as another rocking horse. I think I will do a blue based one for both. 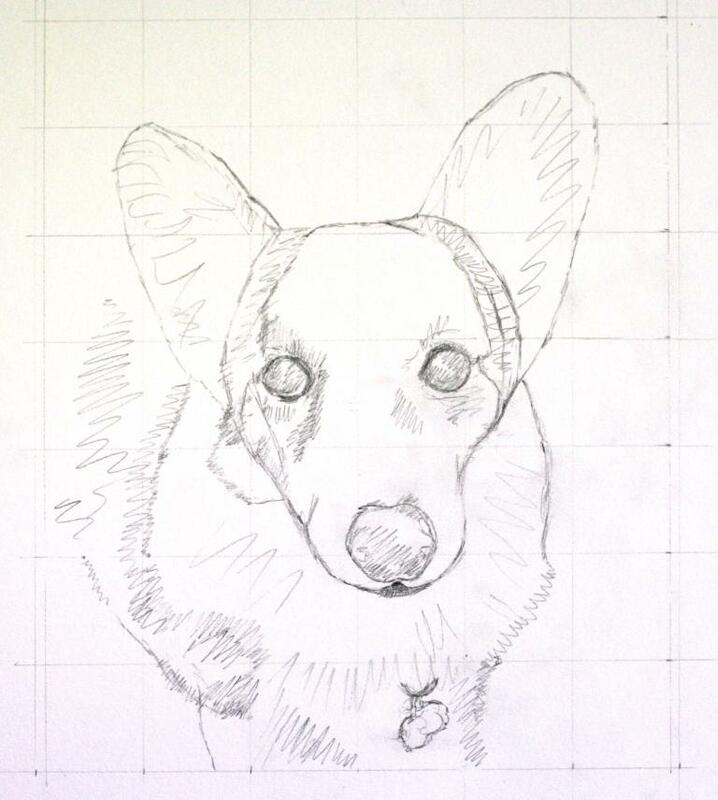 I started work on the corgi portrait a few of days ago. It has been harder lay out than most (except for black) because the brindle is hard to see through enough to delineate the head. The pencil up is taking longer because of it. Somehow I made the eyes way too small the first time around, so I need fresh eyes over the course of a couple of days to get it right. I didn’t know corgis could come with a brindle coat. 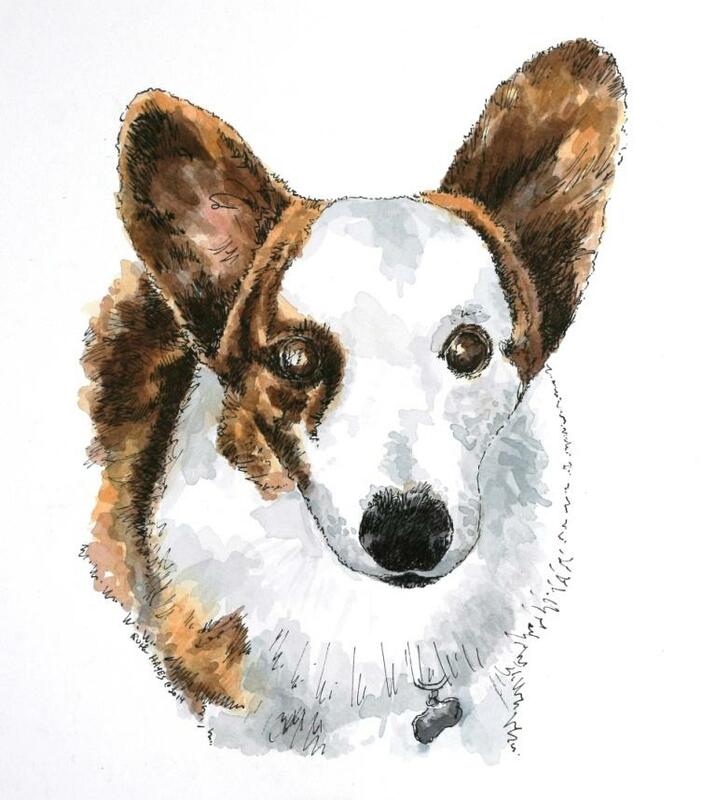 It’s not a merle, but a brown overlayed with black. It is a downward shot and I am still debating on how much of the back to show. She isn’t particular about that, but there is not a lot of brindle on the face and she definitely wants to show his colors. 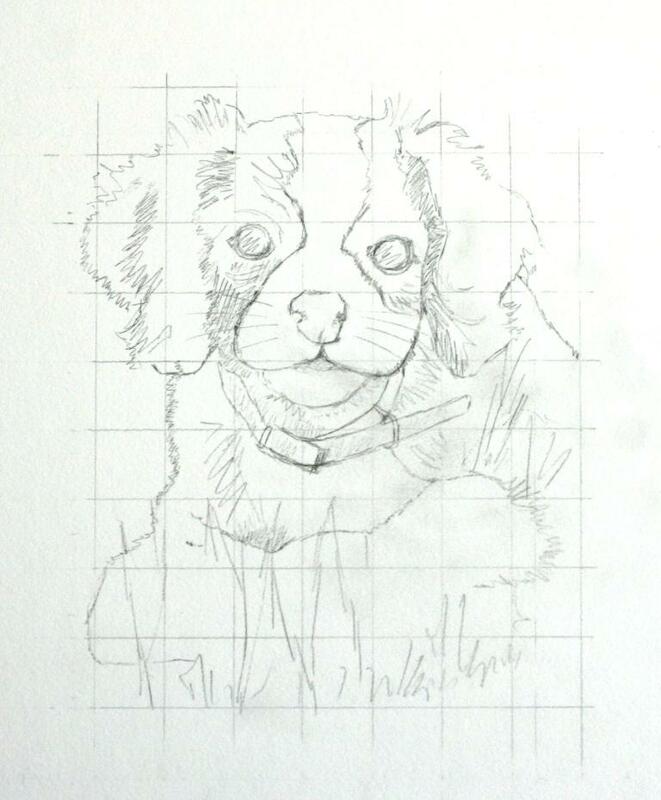 I’ve been working the last few days on the watercolor for the portrait of the puppy. I wasn’t quite sure what the breed was so I asked. It reminded me some of the Japanese chin from a few months ago but I knew that wasn’t quite right. 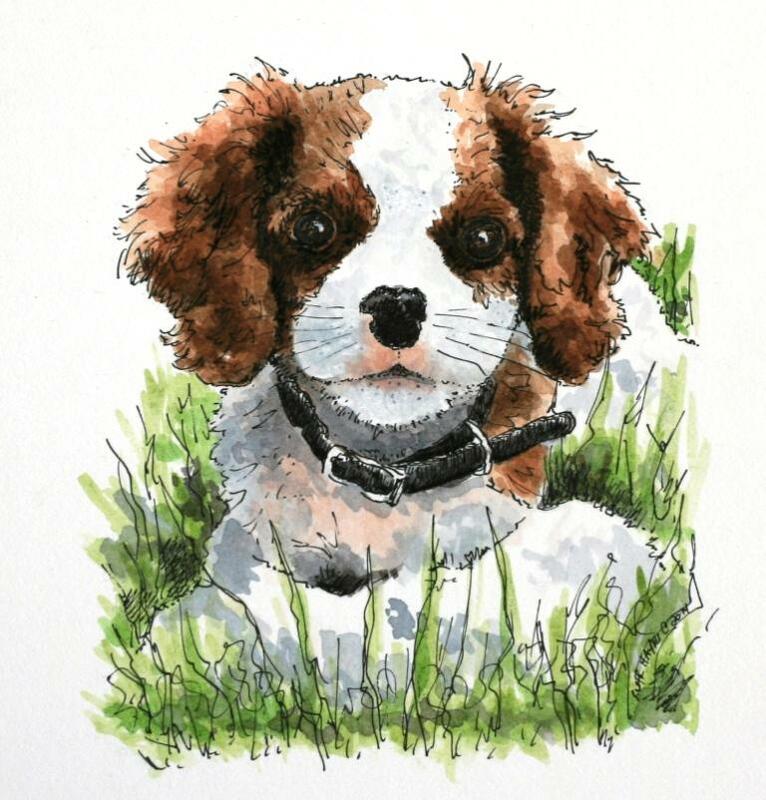 She emailed me back that he is a King Charles Cavalier Spaniel puppy. Looking at him now, I can see it. I have an acquaintance who got one 7 or 8 years ago and he does remind me of it. I am going to let it “rest” for a few days and then send it on to his new home in Atlanta. I didn’t get a chance to work on the shadowing of the studio painting but it will be up again after the pet portraits are finished. And lastly, today, once again I managed to be my own worst enemy. We were out planting vinca on a hillside next to the driveway and I tripped and fell on my right hand at the base of my thumb and wrist. It didn’t hurt too much when I did it, but now they are starting to ache so I’ve taken some ibuprofen and am icing it some. I’ll use a heating pad later. I sure hope I haven’t done anything too bad to myself. I need to be able to use my hand to finish the portrait this week.